To transfer one file to another location on a Microsoft PC, we usually right click on the mouse after selecting the file. It will show us a list of places to where we can send the file using the 'Send to' option. This feature is available in all latest releases of Microsoft Operating systems and is known as Context Menu. This tutorial is for beginners who are not much familiar with Microsoft shortcuts. Here you can learn how to activate Extended Context Menu using keyboard and mouse. These items are available in normal send to menu and are known as Context Menu. However, it is the entire list. We can have more options if we expand the 'sent to'. Next paragraph explains how to do it. It is very simple to add more options to Send To Menu. While right-clicking on the file you should press [Shift] button. 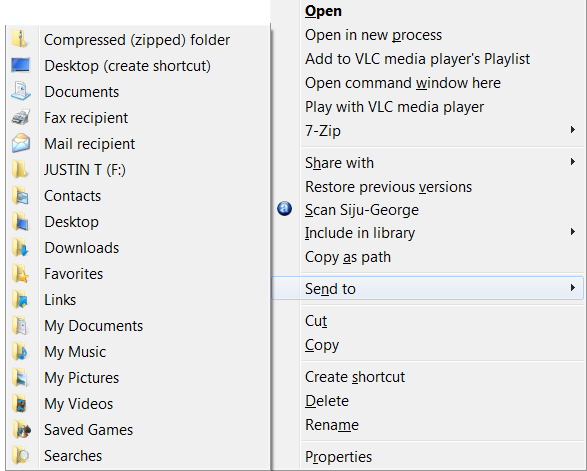 Now you can see more folder names in Send To Menu. 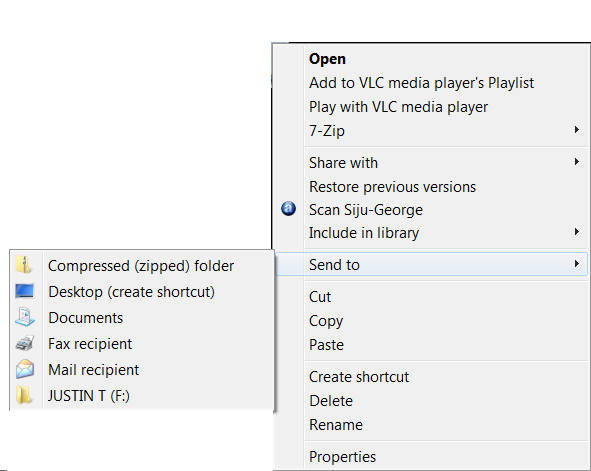 This [Shift] button trick works with all Microsoft Operating systems starting with Windows Vista. As you can see it is very easy to invoke Extended Context Menu on the latest Windows Operating Systems. CoreNetworkZ has numerous OS related articles. Some of them are provided below.